SEED Landscape Design ltd is a Landscape Architectural practice that seeks to create a sense of place and involvement. We encourage creative engagement between people and nature. We work on a wide variety of projects ranging from community led design projects to private gardens and farmsteads throughout the country. The common thread is the desire to create engaging spaces with an emphasis on nature and dynamic soft landscaping. SEED Landscape Design ltd is a Landscape Institute registered practice and was set up in 2008 by directors Jack Marshall and John Libert. Before SEED Jack worked for Dan Pearson Studio, where he ran a number of design led projects from private gardens to small public spaces. 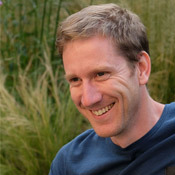 Between 2000 and 2004 Jack worked at EDCO Design in London, where he was part of an expanding team covering a variety of urban design and public space developments. 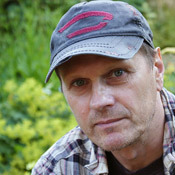 Jack is a member of the Landscape Institute and occasional lecturer / tutor at Bath University. - Kennet Valley, Reading (design and future management of 350 hectares along River Kennet and Kennet & Avon Canal). - A New Roof Garden for Evelina Children’s Hospital, London (Short listed for the 2006 RIBA Stirling Price). John worked for four years as Senior Designer at Dan Pearson Studio, running a wide range of private and public projects including contemporary and historical landscapes from inception through to completion. Prior to DPS, John had his own garden design practice and lectured in garden design at Greenwich University. John originally studied Fine Art and then moved into a career in the music business as a Sound Engineer, Producer and Musician before pursuing a career in landscape design. – South Farm House, Lincolnshire (first successful PPS 7 application). 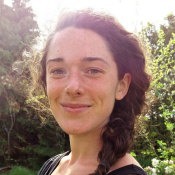 Kirsty graduated in 2012 from The University of Sheffield with a first class degree in Landscape Architecture with Ecology. After spending two years working and travelling she returned to The University of Sheffield to complete her Landscape Architecture Masters in 2015. – Gardener for Knightshayes National Trust gardens. – Gardener at Sherborne Castle. – Running gardening club for local children.